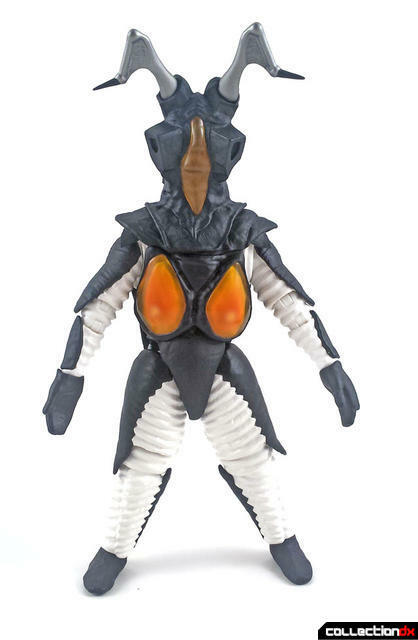 Zetton (ゼットン) is a kaiju that appears in the 39th and final episode of the original Ultraman series in 1966. As the most powerful monster in the series, he is essentially the "final boss" of the show (and one that defeated Ultraman!) In fact, his very name is a clue to it's nature. Z, or "zetto" in Japanese is the last letter of the English alphabet while "N" is the final sound in the phonetic Japanese alphabet. 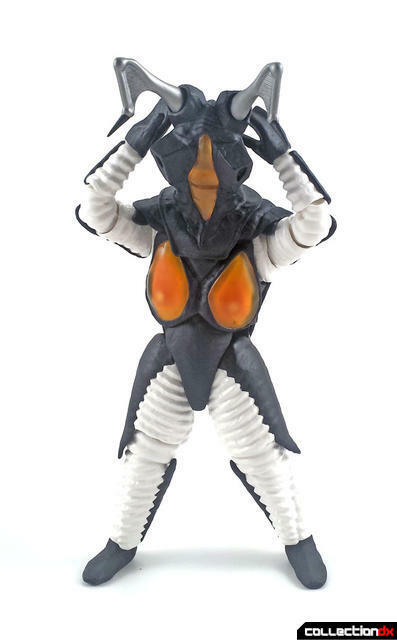 Hence, "Zetto" + "n" = Zetton! This release from Bandai's S.H. Figuarts line comes to us courtesy of Bluefin Distribution and is available on AMAZON.COM. 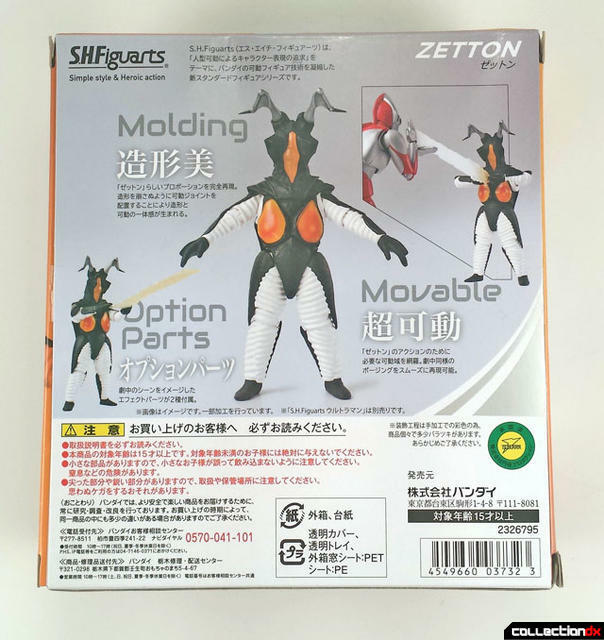 Standing at roughly 6.5" tall, Zetton comes packaged in a compact (7" x 6.5" x 3") box with the figure and accessories visibly through the clear plastic window. The back of the box shows the figure in a couple poses, as well as squaring off against the S.H. Figuarts Ultraman (not included). Once removed from the box, the figure rests in a clear plastic tray. Speaking of clear, clear plastic is used over the orange on the head and torso (where the characters eyes are located.) 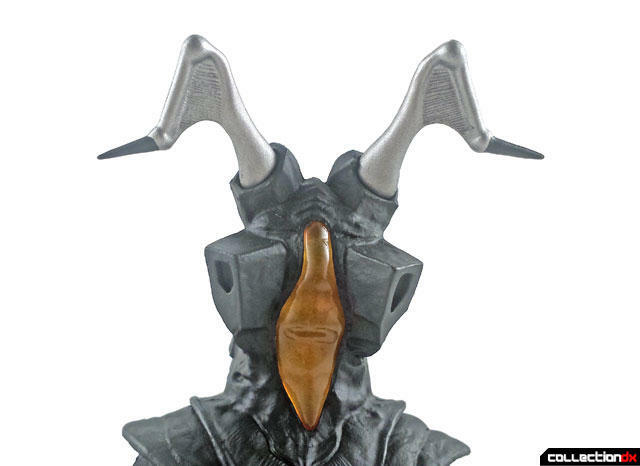 There are about 22 points of articulation on the figure, with most of them very well disguised, including double jointed elbows and knees and even articulated antennae. 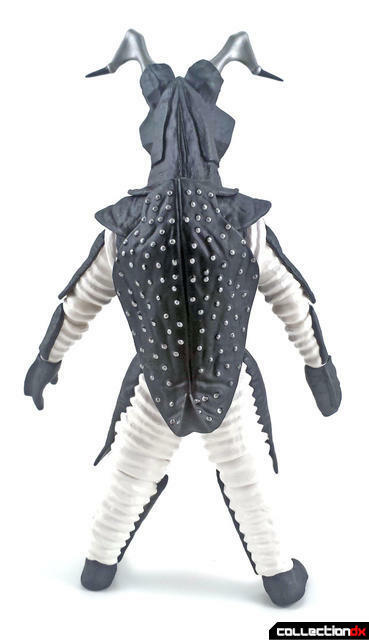 Overall, poseability is good but certain aspects of the characters design do limit it, such as the shell on the back that hinders movement at the waist or the neck part of the "mask" which hangs down enough to prevent much turning of the head. Despite those things, you can still get some decent poses out of the figure. No stand is included because it's not needed. The figure stands up solidly on it's own, sometimes even on one leg. 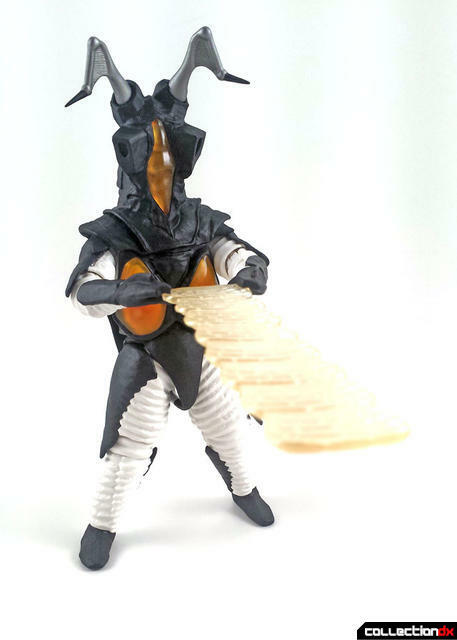 In the original episode, Zetton defeats Ultraman by capturing his Specium Ray and converting into his own Zetton Breaker (or Final Beam) and directing it back at Ultraman. You can see the exchange in the clip below. The S.H. 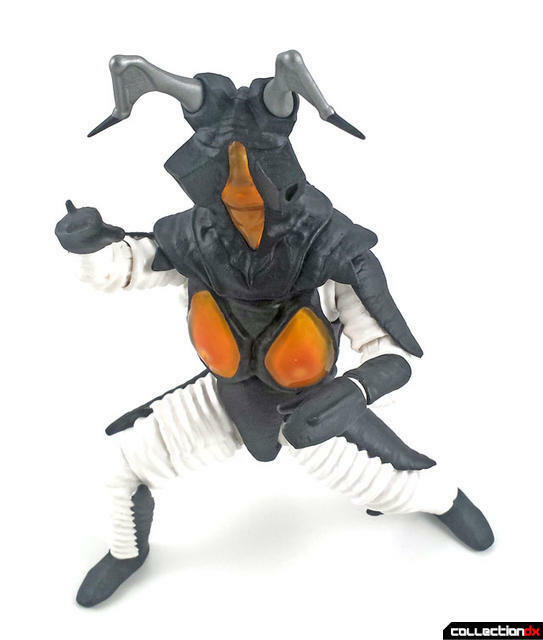 Figuarts Zetton includes accessories to recreate this scene and each one is attached to a separate set of hands than can be swapped out with the regular hands. The first set of hands holds half of a Specium Ray that can be combined with the other half that is included with the S.H. Figuarts Ultraman. 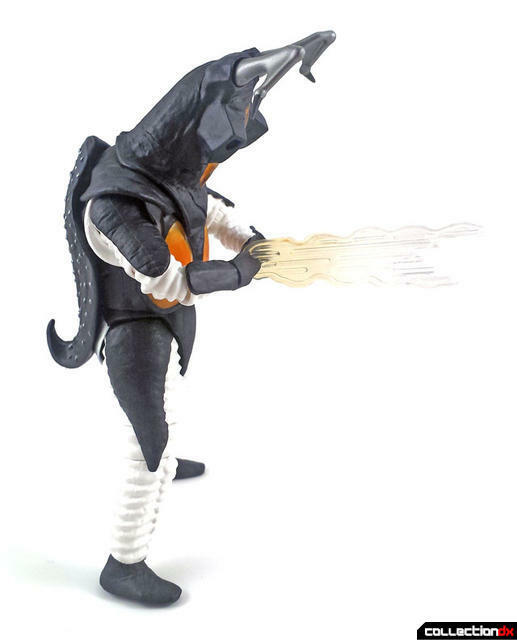 Once Zetton has acquired the energy of the Specium Ray, he then converts it and fires it back! 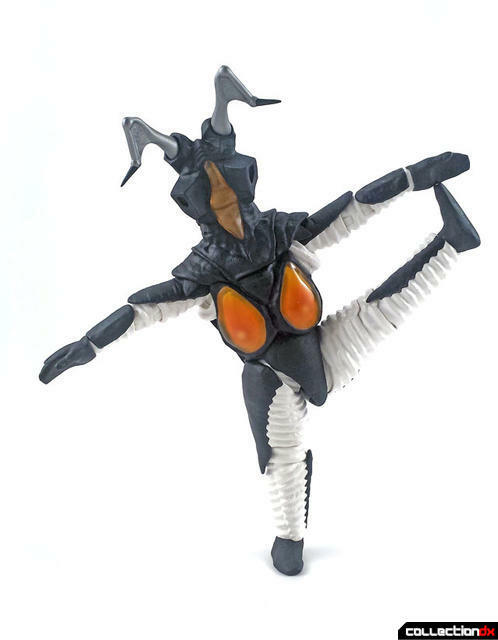 Unfortunatey, I don't have the matching Ultraman figure to re-enact this sequence, but even so, the S.H. 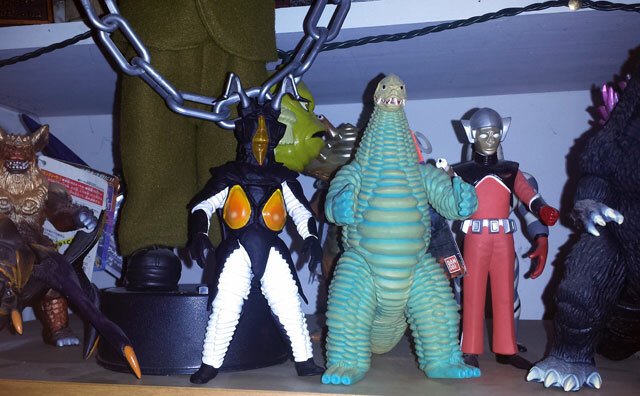 Figuarts Zetton is a pretty cool looking figure on it's own and is just the right size to also display quite well with a lineup of Bandai Ultra-Kaiju. You can get your S.H. 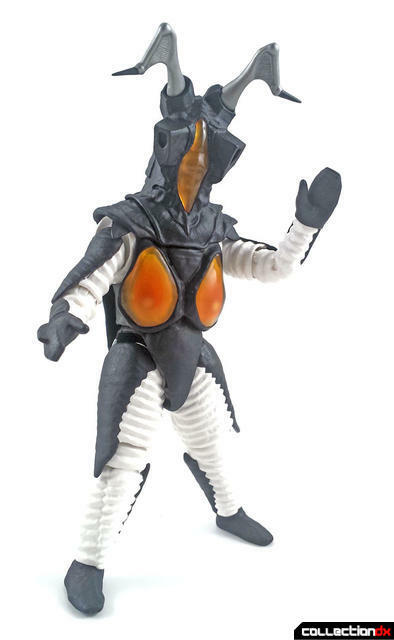 Figuarts Zetton at AMAZON.COM.